When I met T-Gate, I discovered an Italian reality, with very high experience in terms of designing and engineering technological solutions. 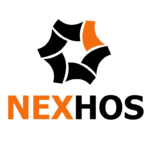 Pleased that the production was located in Italy, a key element of guarantee, in view of the maturity of the market to incorporate solutions that allow tourists to use their smartphones for every need and strong experience gained in the hotel industry, I accepted with Nexhos the bet of the exclusive distribution of T-Gate for the tourism sector, sure of huge spaces and great market opportunities. We have integrated the T-Gate technology in hotelyzer to enrich our sophisticated concierge created to improve the Guest Experience and increase hotel revenues, with the additional functionality of the “digital key” to meet the increasing needs of the modern tourist who is increasingly oriented towards accommodation facilities equipped with “stay enhancing” technologies. 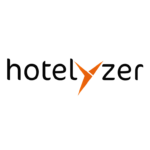 The tourist with our free hotelyzer app will thus also have the possibility to enter the rooms equipped with T-Gate in the room or directly, without additional key or remote control, thanks to the exclusive use of their smartphone. 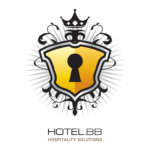 Thanks to the integration between HOTEL.BB and T-Gate, the accommodation facilities will have the possibility of delivering the key to the guest in a “virtual” way in one step, limiting the waiting times at the reception and improving the Guest Experience, as happens in large international hotel companies. Using T-Gate, which can be combined with any electric lock, our hotels can also limit the production costs of the keys, the annoyance of their loss and share the possibility of access to all the occupants of a room thanks to the use of their smartphone.